The New Jersey League of Municipalities (NJLOM) fights to protect the voice of the residents of New Jersey. An all-volunteer organization, the League’s sole purpose is to help municipal officials do a better job of self-governing. Every municipality in New Jersey is a member, and over 560 mayors and 13,000 elected and appointed officials from these municipalities are granted access to the League benefits. The League offers members a number of services, including a monthly newsletter, in the hopes of keeping local officials informed on everything going on which could affect their residents. November 19-21 in Atlantic City. Please visit Good Energy at booth 2132. The League hosts an annual conference, and this year it will be held November 19-21 at the Atlantic City Convention Center in Atlantic City, NJ. This conference affords government officials the opportunity to get together and talk about the many problems facing New Jersey Residents. 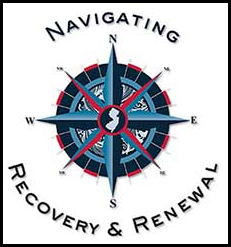 This year, the conference is titled, Navigating Recovery & Renewal. Government energy aggregation is sure to be a topic of discussion at the conference this year. Municipal officials across New Jersey have met with government energy aggregation consulting firms, such as Good Energy, to better understand the tremendous opportunity for savings for residents. Consulting firm Good Energy is a very proud Platinum Sponsor of the NJLOM and will be exhibiting at this year’s NJLOM conference. CEO Maximilian Hoover believes in the work the New Jersey League of Municipalities sets out to accomplish, and is proud to support the cause. For more information on the upcoming event, or to learn more about how Good Energy is working to help New Jersey residents, please follow our latest updates. Good Energy is a proud Platinum Supporter of the NJLOM. We will in booth 2132 at this year’s 98th annual NJLOM Conference, which is to be held November 19-21 in Atlantic City. November 16, 2013 by Mitchell Schneider. Good Energy is pleased to be a co-convener of the Sustainable Jersey Sustainability Summit on September 18, 2013 at Duke Farms in Hillsborough, NJ. Gary Fogelman, Mass Markets Manager of Good Energy will be there to answer your questions. In the blog post below, Mr. Fogelman explains how Government Energy Aggregation can be a powerful use of helping communities go Green. He further explains how many communities in Illinois, where the program is called Municipal Aggregation, decided on a Green option when choosing their winning electric supplier. This cost in savings was less than $10 per Green community resident thus making this decision a very easy one. When thinking about Government Energy Aggregation (“GEA”) , we often tend to jump straight for the intended endpoint - focusing on the municipally-organized bulk buying power of energy which will save residents money. In many cases, however, communities see these purchases as opportunities to do more and actually practice “community”. These choices are made by government leaders with invaluable input from residents. One of these choices is whether or not an energy purchase may include renewable components, i.e., Renewable Energy Certificates (“REC”). The EPA describes a REC as a certificate that represents the generation of one megawatt-hour (“MWh”) of electricity from an eligible source of renewable energy. Each REC denotes the underlying generation energy source, location of the generation, and year of generation (a.k.a. “vintage”), environmental emissions, and other characteristics associated with the generator. RECs represent a claim to the environmental attributes associated with renewable energy generation. Because the REC is a publicly traded commodity just as the underlying energy commodity is, it is equally subject to the market forces that will put downward pressure on prices when purchased on a large scale created by an aggregation program. The point to be made is that GEA provides a unique and powerful tool in New Jersey, not just to reduce supply costs for account holders, but to increase, if not initiate renewable energy use over and above state-mandated Renewable Portfolio Standards (“RPS”). Good Energy is a pioneer in GEA, building and currently managing a program in Illinois (known as “Municipal Energy Aggregation” in IL) that offset approximately four BILLION kWh using bundled RECs. We believe this to be the largest residential aggregation in the entire country. The annual environmental impacts of the energy procurements that make up this program are nothing more than astounding - more than 5.5 BILLION lbs of CO2 removed from the atmosphere, nearly 550,000 cars taken off the road, more than two million trees spared, and the CO2 emissions of almost 325,000 electricity use avoided. Government Energy Aggregation, uniting bulk energy purchasing with community by using Renewable Energy, helping keep Jersey sustainable! September 18, 2013 by Mitchell Schneider. According to an article posted July 16th in the Asbury Park Press, Jackson township residents may be close to saving 15 to 18 percent, or upward of $200, per year on their electricity costs. These would be welcome savings in the community. These savings will come from government energy aggregation, which allows municipal leaders to combine the energy needs of all residents together, allowing them to negotiate for lower electricity supply rates on the open market. Though government energy aggregation was authorized in 2003 by the Government Energy Aggregation Act, it has only been in the last few years that aggregation has been a real option in the state. Officials are close to entering into either a one or two year contract with Good Energy, an energy management and consulting firm that specializes in government energy aggregation. Plumsted and Toms River recently began government energy aggregation programs of their own, and representatives from Brick and Lakewood are in similar discussions. These government energy aggregation programs are run on an opt-out basis, meaning that residents are not required to do anything in order to enjoy substantial savings available. For residents who do not wish to participate, the process for not participating in the program is also extremely easy. Several opportunities will be presented to residents, who will simply need to sign a form and mail it back. They are then excluded from the program. This is an opportunity for township officials to save their residents money without any costs to either the residents or the municipality. It is a truly great deal for all involved. If you would like more information about government energy aggregation, click here. For the full article, see below. August 9, 2013 by Mitchell Schneider. Jackson Township residents can expect annual savings of $150 to $200 on their electricity bills if the township’s administration approves an initiative known as Government Energy Aggregation. The Township recently interviewed Good Energy, a national energy consulting firm and is considering moving into an agreement with them. The agreement is now under review. Energy aggregation was made legal in the Government Energy Aggregation Act of 2003, and allows a municipality to bundle the electricity needs of all of the residents within the township together to negotiate with suppliers for better rates. The township, according to state law, cannot make money from the aggregation. And all residents will be granted the option to opt-out of the program, should they decide to try to find a better rate on their own. July 19, 2013 by Mitchell Schneider. Government Energy Aggregation (“GEA”), as it is known in NJ, is legislation which allows local governments and municipalities to pool the energy usage (in this case electricity)of its’ residential and non-residential account holders, in order to lower cost by creating a bulk purchasing opportunity with a licensed Third Party Supplier (“TPS”) of electricity. Energy aggregation programs have proven enormously successful in some states, perhaps no more than in Illinois, where 667 communities have initiated a program and are now saving literally millions and millions of dollars on their electricity supply. Good Energy, a New York City-based energy management and consulting firm has, over the course of three years, built a coalition of 149 of those communities, nearly a quarter of the entire aforementioned list, and achieved the lowest electricity rate in the state, setting the benchmark for electricity prices in Illinois. Good Energy has also had tremendous success within the commercial & industrial segment, particularly in NJ, where since 2008, the firm has operated the second largest public aggregation of municipal properties in the entire state. This aggregation, different from GEA, but using similar bulk purchasing fundamentals, is comprised of 92 different entities in 17 counties, again, saving participants millions of public dollars. Support for the program has been extremely positive and steadfast, having been both extended and renewed through the end of 2016. With an exemplary record both in government energy aggregation and public commercial & industrial aggregation, no other company is as well qualified to be tasked with operating your GEA program. The firm has a long-standing and successful history in NJ, and brings in depth experience and best practices from other states where community opinion on aggregation has been resoundingly favorable. July 16, 2013 by Mitchell Schneider. The Town of Newton’s Town Council heard a proposal from representatives of Good Energy on Monday, April 8. The presentation surrounded potential savings from government energy aggregation, which is a way to save consumers money by pooling their collective energy needs to negotiate better rates. Most residents of the Town of Newton have JCP&L as their utility, or delivery company, for electricity, but under New Jersey’s energy deregulation law, consumers have the right to change the supplier of their energy. Because of this, consumers may choose from up to 57 different energy suppliers and 67 energy marketers to find the best rates. No matter what company supplies the energy, JCP&L will continue to deliver the electricity. Right now, most residents receive solicitation from all of these potential electricity suppliers and marketers. These solicitations make claims about their rates in comparison to the rates of their competitors, and offer lock-in periods of different lengths. Weeding through these offers can be confusing and difficult for residents. Aggregation would allow residents to receive the best rate without the headache of contacting each company. Energy aggregation is a growing concept in New Jersey, and Carr estimated savings of over $18 million dollars a year for 500,000 households. June 3, 2013 by Mitchell Schneider. Good Energy at the Energy Industry's Premier Event - The 24th Annual 2013 KEMA Executive Conference - What is Municipal Energy Aggregation? Managing Partner of Good Energy, Charles de Casteja, was asked to partake on panels and discuss Government Energy Aggregation, also known as Municipal Energy Aggregation or Community Energy Aggregation. Click here to view the 8-Part Series. May 10, 2013 by Mitchell Schneider. Good Energy, a national government energy aggregation consulting firm, supported the 50th anniversary New Jersey Conference of Mayors spring conference as a platinum member. Held on April 24-26, 2013 at the Borgata Hotel in Atlantic City, this conference provided an excellent opportunity for mayors to discuss important state and federal issues in an open forum. The open nature of this event also promoted government transparency and awareness, allowing mayors and citizens alike to discuss these important topics. In addition to its role as a platinum member, Good Energy also provided a speaker for the improved energy efficiency panel and the business council session. Charles De Casteja, managing partner for Good Energy, spoke on the panel about the benefits of government energy aggregation, and showed an informative video explaining how government energy aggregation actually works. the primary focus of the council session, meanwhile, surrounded potential enhancements to the current government energy aggregation laws. It was an interesting discussion focused on helping residents to save money. Representatives of Good Energy spoke with almost 100 mayors about aggregation throughout the conference. The representatives dispelled a number of rumors and explained in plain dollars how aggregation saves money. There was a serious interest in aggregation expressed by many mayors, especially with the success it has had in other states. Many mayors also expressed an immediate interest in government energy aggregation, as it could be an effective tool to help citizens offset the potential tax increases looming in the wake of Hurricane Sandy. For more information on municipal aggregation and the many benefits discussed at this conference, click here. May 2, 2013 by Mitchell Schneider.